At the individual level, engineering is a profession; at the level of society as a whole, it has become a critical competence. 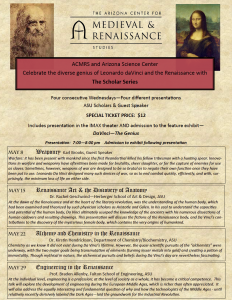 Explore the development of engineering during the European Middle Ages—until relatively recently derisively labeled the Dark Ages—and discuss the equally interesting and fundamental question of why and how the technologists of the Middle Ages laid the groundwork for the Industrial Revolution. 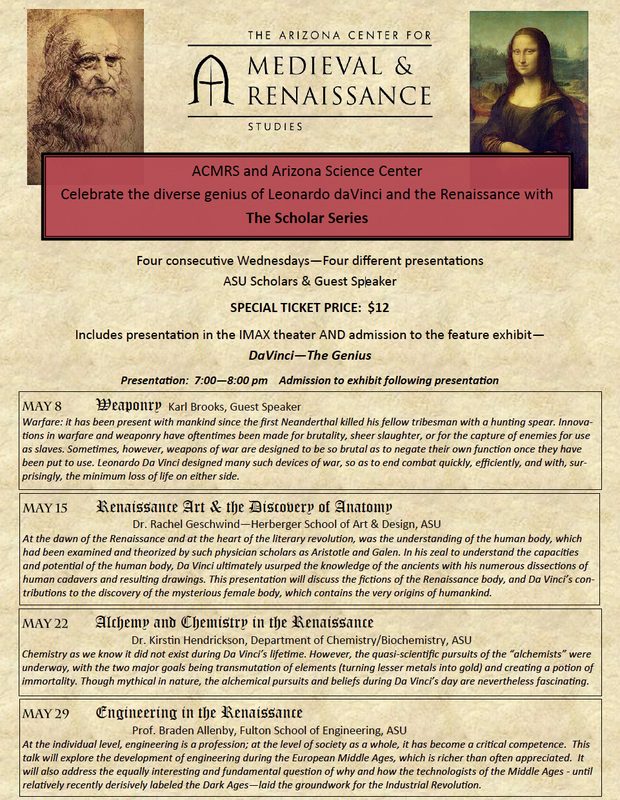 ACMRS and Arizona Science Center celebrate the diverse genius of Leonardo da Vinci and the Renaissance with The Scholar Series. Brad Allenby, professor in the School of Sustainable Engineering and the Built Environment, will present this lecture. The Arizona Science Center is located at corner of Washington and Seventh streets in downtown Phoenix. There is a light-rail stop nearby at Fifth Street and Washington; pay parking is also available.